South Oshawa..... 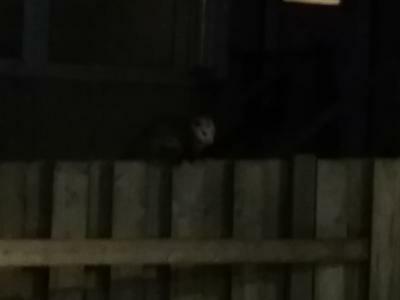 I walked outside to find this possum sitting on my fence. It took a bit to get him moving on his way but he slowly moved. He was seen at 9:15 pm on November 4th 2016. I will post this on our facebook page so that our facebook followers can also enjoy it.